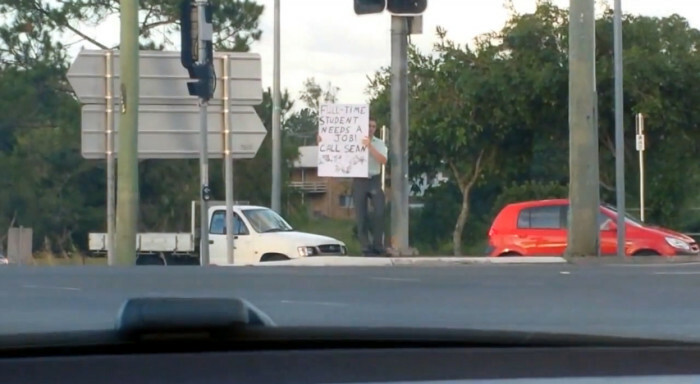 On the other side of the sign, the student, later identified by news.com.au as Sean Anderson, had written “FULL TIME STUDENT NEEDS A JOB! CALL SEAN” along with his phone number. The 24-year-old told the news website he is hoping to join the Australian Police Force after graduation, but is in need for a job now to tide him over. “I’m not working at all, I’ve got a bit of money that I’ve saved but I’m running out and I need to pay for rent and food,” he told news.com.au. Anderson’s stunt has garnered him a bit of fame among employers and recruiters, but he said he is still looking for the right fit. “I’ve called a number of them back, but being a full-time student it is difficult to have flexibility,” he said. Stephen Lee leaves the Singapore National Employers Federation after 26 years. .. While more than 70% of Singaporeans think they are healthy, many are not eating enough greens and fruits nor getting enough exerci.. This special edition presents 10 interviews conducted by our team during the past year, giving you insights and inspiration as you..
Facebook’s founder has decided to receive a symbolic annual salary of $1. But don’t be fooled – he’s still making billions from st..